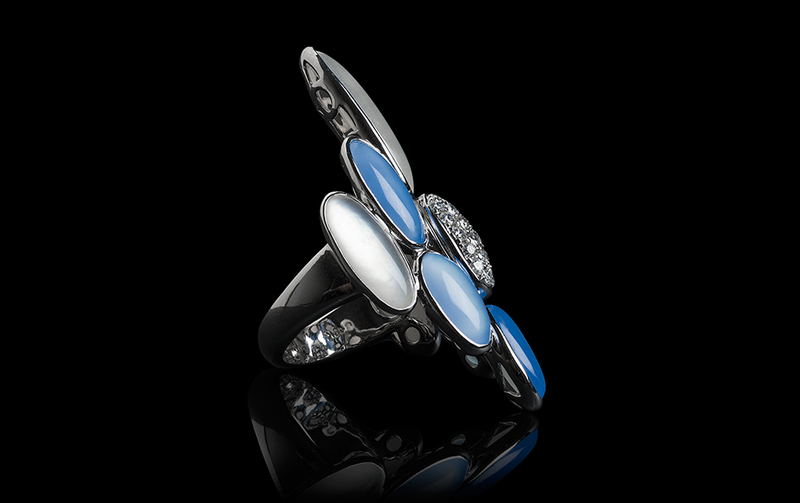 In the Mystery in Blue Collection, Payal honors the feminine mystique with the moonstone, whose spellbinding shimmer evokes inner journeys and hidden truths. The Greeks and Romans believed that the stone’s opaque veil captured the moon’s rays and therefore possessed some of its magical powers. In Indian tradition, it is the stone of lovers, an association of the sacred and the terrestrial. 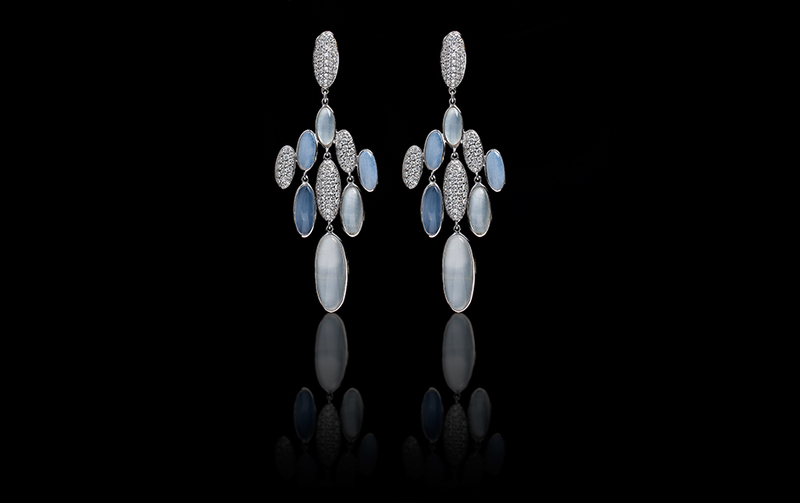 In that spirit, Payal celebrates the moonstone’s delicate sheen in pieces that feel protective, and at the same time seem to reveal a glimpse of the wearer’s true character.